The services at Balwill Holdings, 1-11 Alvin Street, Gloucester, Gl1 3EJ T/A No1 Business Centre and henceforth known as No1 Business Centre provides to you are subject to the following Terms and Conditions (T&C). No1 Business Centre reserves the right to update the T&C at any time without notice to you. No1 Business Centre membership application does not create a tenancy but a prepaid usage license to use the provided amenities on a daily, monthly or casual basis. No1 Business Centre may provide you with access to office space, workstations, kitchen and fair use teas and coffees, Internet access, office equipment, conference space, knowledge resources, and other services including rates and fair use electricity and gas (collectively, “Services”). The Services at all times are subject to the T&C. You will not use the Services for any purpose that is unlawful or prohibited by these terms, conditions and notices. You may not use the Services in any manner that could damage, disable, overburden, or impair any No1 Business Centre’s server, or interfere with any other party’s use and enjoyment of any Services. You may not attempt to gain unauthorized access to any Services, or accounts, computer systems or networks connected to any No1 Business Business Centre server or to any of the Services, through hacking, password mining or any other means. You may not obtain or attempt to obtain any materials or information through any means not intentionally made available through the Services, nor should you post or download files that you know or should know are illegal or that you have no rights to. You hereby represent and warrant that you have all requisite legal power and authority to enter into and abide by the terms and conditions of this T&C and no further authorization or approval is necessary. You further represent and warrant that your participation or use of the Services will not conflict with or result in any breach of any license, contract, agreement or other instrument or obligation to which you are a party. consent to do the same. Use any material or information, including images or photographs, which are made available through the services in any manner that infringes any copyright, trademark, patent, trade secret, or other proprietary right of any party; Upload files that contain viruses, Trojan Horses, Worms, time bombs, candlebots, corrupted files, or any other similar software or programs that may damage the operation of another computer or property of another coworker. Download any file that you know, or reasonably should know, cannot be legally reproduced, displayed, performed, and or/distributed in such manner. Restrict or inhibit any other user from using and enjoying the Services. Violate any code of conduct or other guidelines which may be applicable for any particular Service (including the Building Rules). Harvest or otherwise collect information about other, including email addresses, without the authorization or consent of the disclosing party. Violate any applicable laws or regulations; or Create false identity for the purpose of misleading others. This Agreement is automatically renewed at the end of each period with consent of each party. The T&C must be adhered to at all times. Failure to follow T&C can result in non-renewal or even early termination of the usage license. No1 Business Centre reserves the right to terminate any Service at any time, immediately and without notice, if you fail to comply with the T&C. This includes non-payment or violation of the space rules. If this happens, No1 Business Centre will refund any amounts paid for unused periods that remain after deducting any pending charges, on a prorata basis. Members may terminate this Agreement by giving a written notice of termination as established in this Agreement. Termination shall be in effect as of the end of that calendar month. Should Member not provide timely notice of termination to No1 Business Centre then the Membership Period shall continue to the end of the following calendar month and the service fees for that calendar month shall be payable. The member is automatically invoiced monthly in advance based on their membership option. Also included is any variable charges such as telephony usage (if appicalbe) that may have been incurred during the previous period. Payment is required at the beginning of the month for that period, at the date specified in the invoice. Payment for casual usage is either paid on the day of use unless other arrangement have been made with No1 Business Centre. No1 Business Centre reserves the right at all times to disclose any information about you Your participation in and use of the Services as No1 Business Centre deems necessary to satisfy any applicable law, regulation, legal process or governmental request, or to edit, refuse to post or to remove any information or materials, in whole or in part in No1 Business Centre’s sole discretion. You acknowledge and agree that during your participation in and use of the Services you may exposed to Confidential Information. “Confidential Information” shall mean all information, in whole or in part, that is disclosed by No1 Business Centre or any participant of used of the Services or any employee affiliate, or agent thereof, that is non-public, confidential or proprietary in nature. Confidential information also includes, without limitation, information about business, sales, operations, know-how, trade secrets, business affairs, any knowledge gained through examination or observation of or access to the facilities, computer systems and/or books and records of No1 Business Centre, any analyses, compilations, studies or other documents prepared by No1 Business Centre or otherwise derived in any manner from the Confidential Information that you are obliged to keep confidential or know or has reason to know should be treated as confidential. Your participation in and/or use of the Services obligates you to Maintain all Confidential Information in strict confidence; Not to disclose Confidential Information to any third parties; Not to sue the Confidential Information in any way directly or indirectly determined to No1 Business Centre or any participant or user of the Services. All confidential information remains the sole and exclusive property of No1 Business Centre or the respective disclosing party. You acknowledge and agree that nothing in this T&C or your participation or use of the Services will be construed as granting any rights to you, by license or otherwise, in or to any Confidential Information or any patent, copyright or other intellectual property proprietary rights of No1 Business Centre or any participant or user of the Services. You acknowledge that you are participating in or using the Services at your own free will and decision. 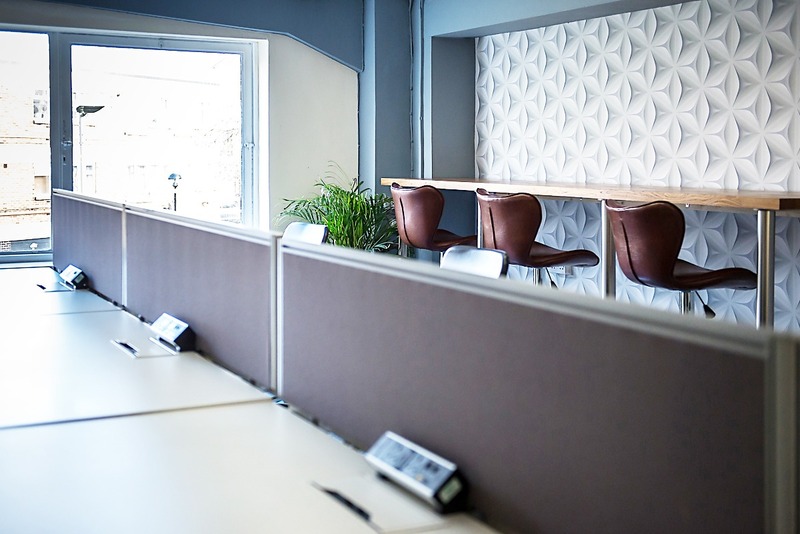 You acknowledge that No1 Business Centre does not have any liability with respect to your access, participation in, use of the Services, or any loss of information resulting from such participation or use. To the maximum extent permitted by the applicable law, No1 Business Centre provides the Services “as is” and with all faults, and hereby disclaim with respect to the services all warranties and conditions, whether express, implied or statutory, including but not limited to: merchantability, fitness for a particular purpose, lack of viruses, accuracy or completeness of responses, results, workmanlike effort and lack of negligence. Also there is no warranty, duty or condition of title, quiet enjoyment, quiet possession, correspondence to description or non-infringement. The entire risk as to the quality, or arising out of participation in or the use of the services, remains with you. To the maximum extent permitted by the applicable law, in no event shall No1 Business Centre or its subsidiaries (whether or not wholly-owned), affiliates, divisions, and their past, present and future officers, agents, shareholders, members, representatives, employees, successors and assigns, jointly and individually be liable for any direct, special, incidental, indirect, punitive, consequential or other damages whatsoever (including, but not limited to damages for: loss of profits, loss of confidential or other information, business interruption, personal injury, loss of privacy, failure to meet any duty (including of good faith or of reasonable care, negligence, and any other pecuniary or other loss whatsoever) arising out of or in any way related to the participation in or inability to participate in or use of the services, the provision of or failure to provide services, or otherwise under or in connection with any provision of this agreement, even in the event of the fault, tort (including negligence), strict liability, breach of contract or breach of warranty of No1 Business Centre, and even if No1 Business Centre has been advised of the possibility of such damages. Limitation of Liability and Remedies Notwithstanding any damages that you might incur for any reason whatsoever (including, without limitation, all damages referenced above and all direct or general damages), the entire liability of No1 Business Centre or its subsidiaries (whether or not wholly-owned), affiliates, divisions, and their past, present and future officers, agents, shareholders, members, representatives, employees, successors and assigns under any provision of this T&C and your exclusive remedy for all of the foregoing shall be limited to actual damages incurred by you based on reasonable reliance up to [enter amount]. The foregoing limitations, exclusions and disclaimers, including the previous sections) shall apply to the maximum extent permitted by applicable law, even if any remedy fails its essential purpose. You shall, during and after the participation in and use of the Services, refrain from making any statements or comments of a defamatory or disparaging nature to any third party regarding No1 Business Centre, or any of No1 Business Centre officers, directors, employees, personnel, agents, policies, services or products, other than to comply with law. You release, and hereby agree to indemnify, defend and save harmless No1 Business Centre and No1 Business Centre subsidiaries (whether or not wholly-owned), affiliates, divisions, and their past, present and future officers, agents, shareholders, members, representatives, employees, successors and assigns, jointly and individually, from and against all claims, liabilities, losses, damages, costs, expenses, judgments, fines and penalties based upon or arising out of your negligent actions, errors and omissions, willful misconduct and fraud in connection with the participation in or use of the Services. You further agree in the event that you bring a claim or lawsuit in violation of this agreement, you shall be liable for any attorney fees and costs incurred by No1 Business Centre or its respective officers and agents in connection with the defense of such claim or lawsuit. No1 Business Centre carries Liability and Business Personal Property insurance. As a user, you are not required but it is strongly suggested that you carry a Renters Insurance policy to cover your own equipment while using our space. That policy may cover your current residence/office, as well as the premises of No1 Business Centre.